We offer three types of surveys: NPS, CES, and CSAT. 1 . The opening survey question is therefore standard (NPS, CES, or CSAT) and cannot be changed. 2. Under 'settings' --> Customize Survey you can adjust the product name and the audience you are addressing the survey to. 3. 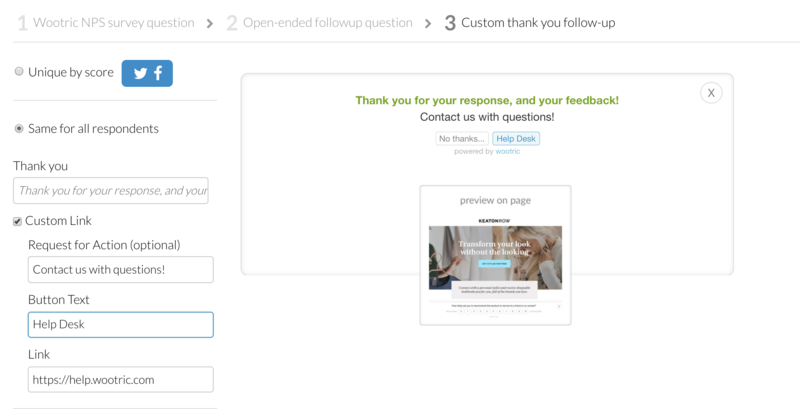 You can further customize the survey by changing the second, open ended follow-up question. This can be the same for all respondents or unique by score. 4. 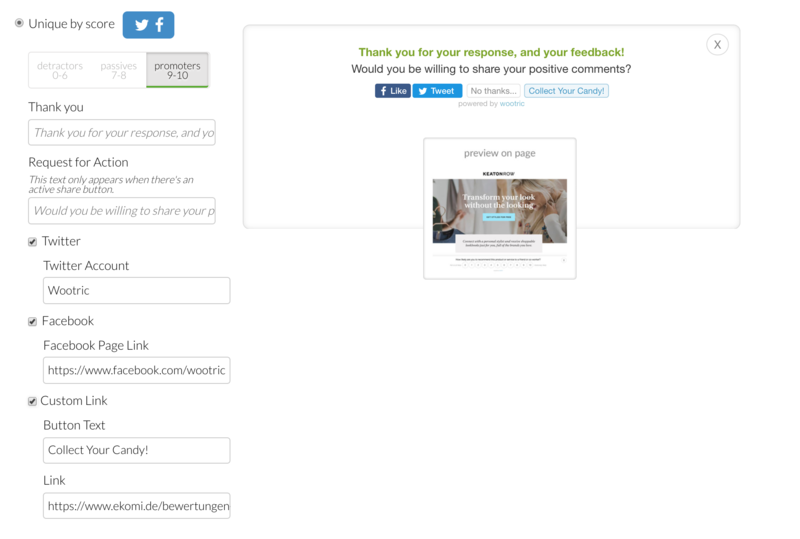 You may additionally customize your survey by adding custom thank you follow-up message and hyperlink. This can be the same for all respondents or unique by score. TIP: A good use for this feature is to enable 'social sharing'. Prompt your promotors to share how great they feel about your product or service on Twitter or Facebook. You can learn about how to enable 'social sharing' here.